According to the Environmental Protection Agency (EPA), the average American spends 93% of their life indoors. But how do we efficiently and sustainably design, zone, and manage this built environment around us? Learn how governments, universities, and private companies leverage the power of GIS to help better understand, develop, and navigate these crucial assets to our everyday lives. Join us at the MAC URISA Spring Meeting! Registration fee is $30 and includes a light breakfast and networking lunch. Meeting list – A list of all participants registered to attend the meeting. 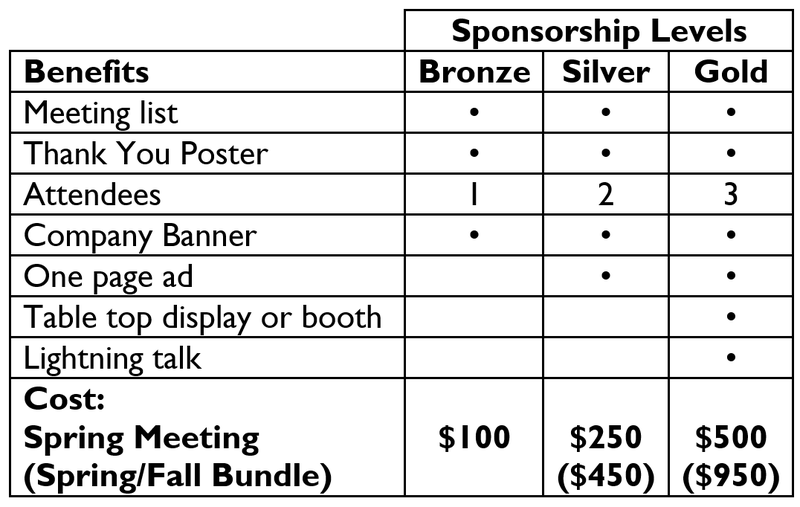 Thank you poster – Your company logo will be displayed on a MAC URISA thank you to sponsors poster in the meeting space. Please submit your high-resolution company logo by email to sponsors@macurisa.org no later than Friday, May 17th, 2019. Attendees – Individual(s) from your company that attend the meeting free of charge. Company banner - Advertise your business using a company banner with openings for nails/rivets. One page ad – A single page advertisement included in the meeting packet materials. Please provide 150 hard copies of the single page advertisement (either color or black & white) and ship to us (mailing addresses provided in confirmation email) by Friday, May 17th, 2019. Table top display – Advertise your company on a table top set up. Booth – Advertise your company using an 8’ x 10’ booth set up. Lightning talk – Give a 10 minute talk on a topic relevant to the "Building a Better GIS" theme of the spring meeting. If you are interested in presenting, you will need to confirm your request by Friday, May 10th, 2019. Please email sponsors@macurisa.org and we will make our best effort to work it into the program.